Having a faucet that functions poorly can be a real pain. Not to mention it can also cost you a lot of money. 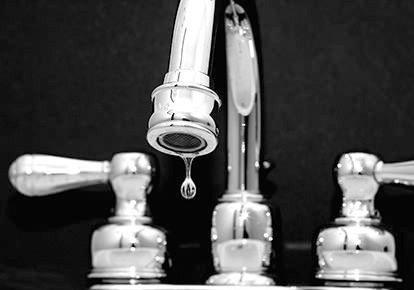 A dripping faucet increases your water bill as you are paying for water you're not even using. You may not have to replace that leaky faucet though....or even call an expensive Anchorage plumber. Sometimes it’s just a matter of replacing the cartridge or valve or even a seat and spring. It’s completely normal for faucet parts to become worn out over time. This process can speed up if you have hard water too. But don’t worry, BRS Services is happy to help with any Anchorage faucet repairs you may need! If you have a faucet that constantly drips or has other problems please contact us and we’ll be happy to assist you. If your old faucet just can't be repaired, then installing a new faucet is your best course of action. Changing outdated fixtures for newer hardware is a quick, easy way to add design appeal back to your bathroom or kitchen. Installing new faucets in a home or business is a fairly common handyman task. When you're ready for a new faucet, BRS Services is here to help! ​We can install or replace fixtures, including faucets, showerheads, and bar fixtures. Most of our customers like to pick out and purchase their faucets ahead of time and have us install them later. However, if you need any help deciding what kind of faucet to choose, contact us and we’ll be happy to assist you.